Let me be perfectly clear about Pizzagate. When I first read the Podesta emails I thought something was awry with how the term pizza was used. In private discussions with iBC staff, my theory was that they were making reference to drugs, not children. The Comet Pizza joint never even came to mind, until it started to spread like wildfire on the 4Chan and Reddit forums. After reviewing the material produced thus far, it looks like a witch hunt. The evidence is all circumstantial, but the owners of that place do themselves no favors — with a litany of questionable Instagram pics, as well as other social media posts that I rather not get into right now. I am not interested in participating in the speculative side of the story. I am, however, supremely curious about the fervent and aggressive media cover up of this singular story — protecting this small business in DC — which has hosted numerous fund raisers for some of the elite’s most powerful in Washington. The other day a person walked into the shop with a gun, allegedly. As far as I can tell, there hasn’t been any eyewitnesses to corroborate the story. The only witness is a guy named Sharif Silmi, who was invited to the Alex Jones show the other day to discuss what he saw. Needless to say, he didn’t hear any gunshots or see any gun. Mr. Silmi is a DC area immigration attorney. In a CNN report about the incident, take a shot everytime you read the word fake and I promise you will get drunk. The alleged gunman, Edgar Welch, is an actor whose father has ties to foster children services. 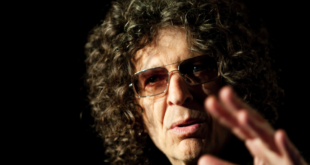 Much to my surprise, during my morning drive, Howard Stern took a call about Pizzagate and his sidekick Robin immediately called it ‘fake news.’ The whole ‘fake news’ buzzword has my spidey senses on tilt and the manner in which Stern talked about Pizzagate, blaming it on the Russians, the Chinese and idiots, sounded so scripted, one would think he was pitching one of the many ridiculous products that sponsor his show. One thing of particular interest to readers is the rumor that Comet Pizza might’ve hired Obama’s PR firm, which would explain the sudden media blitz to preserve this national treasure that has inspired so many to investigate and paint as a place dedicated to the most heinous of crimes.